Join us 7 days a week on the hour every hour from 11am – 5pm and help us spot the largest bottlenose dolphins in the world! Under the historic stone arches of the Ice House, enter into the extraordinary environment that is Spey Bay. This unique audio-visual installation, shot in and around the bay, reveals the exciting and beautiful life both above and below the water. The thrilling guided experience takes you from the airy sunlit world of the river, down into the sea’s depths, to see the world from a dolphin’s eye. Birds clamour above, jellyfish drift like ghosts, dolphins and porpoises dart about. You might even see the UK’s largest fish, the basking shark. All without even getting your feet wet! It’s free but donations are extremely welcome. See and touch our fantastic collection of huge whale bones from the local area. Experience the stunning natural environment and wildlife above the River Spey, and take a Dry dive beneath the waves of the Moray Firth to see the marvels that live below the surface. Discover the history of salmon fishing and the importance of the UK’s largest icehouse. As well as dolphins we are treated to sightings of a wide variety of other amazing wildlife, including seals, ospreys, ducks and maybe otters. Tour time: 2:15pm (Weather dependent April 1st – October 31st. Times vary during winter opening hours). 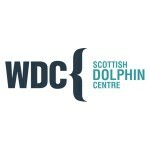 Entry is free but donations are extremely welcome and help to support Whale and Dolphin Conservation. Kids colouring table, giant jigsaws and more!